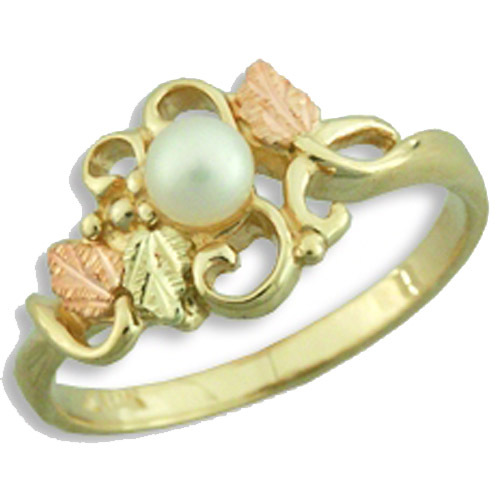 Desc: Landstrom's Black Hills Gold grape and leaf pearl ring. The pearl is bezel set with the grape and leaf pattern around. The ring is open and feminine.